leads, sales & success online. Convincing people that they need your product is only one half of a good marketing strategy — the other half is finding people who already need your product, but just don’t know it yet. Our agency specialises in AdWords campaigns, ensuring that your website will rank highly in Google. Meaning your potential customers will have no issues in finding you. We achieve this by devising a keyword list that’s relevant to your company and customers and managing the campaign to deliver big results. We’re your top choice for an AdWords agency in Thailand. Speak to your audience in terms that engage them the most with the help of our PPC management services. 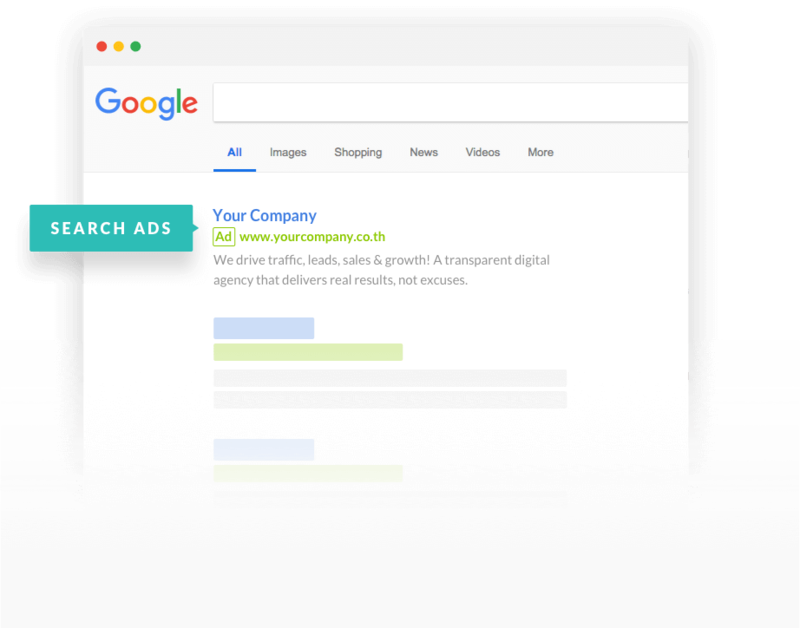 Primal offers professional AdWords management that allows you to access more potential prospects than ever before, putting your brand on the radar of millions of searches where purchase intent runs high. Leverage our years of experience in search marketing and pay-per-click management services in Bangkok to collaborate with us. We’ll help you create persuasive, eye-catching ads that will generate traffic, an increase in sales and major growth for your business. We’re passionate about making things as easy and accessible as possible for our valued clients. Primal boasts an exclusive reporting and analysis system that allows you to see exactly what results you’re getting. Instead of confusing reports, we provide clear graphs and tables outlining everything from traffic levels to search engine results page rankings. This makes it easier for us to target exactly what needs tweaking to maximise growth. Give customers the opportunity to view videos of your product as they browse through sites like YouTube and Facebook. Video allows you to reach relevant audiences as they are learning about your brand with minimal intrusion. Furthermore, you can easily utilise AdWords video campaigns to not only prospect but remarket to your audiences. 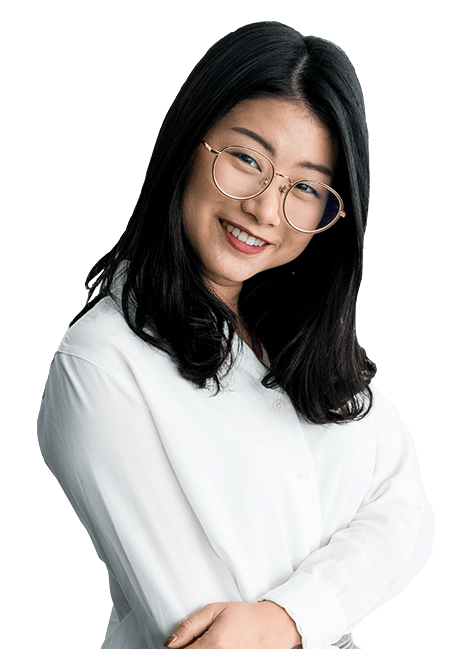 Find out more about how we ensure that your campaigns get the reach and frequency they need to make an impact by getting in touch with our PPC agency in Bangkok today. Volunteer Thailand develops international volunteer projects that assist local communities overcome challenges, and provides volunteers with the experience of contributing to those communities as a valued participant. The focus of online campaign is to generate leads from worldwide. "We would like to recommend Primal to any company who are looking for Google Ads and SEO"
How can a PPC campaign grow my revenue? A carefully crafted, well-targeted PPC campaign planned by our agency can drive traffic to your site, helping you to generate more leads and conversions for a fraction of the cost of a less targeted advertising campaign. Our pay-per-click marketing campaigns and AdWords management across Thailand allow you to drill down into your demographics, targeting those most willing to buy your product. Close analysis of the market will allow us to fine-tune your strategy so that whenever someone goes looking for a product in your industry, yours is the first name to come up. Best of all, you’ll know that you’re working with one of Thailand’s most experienced and respected AdWords management agencies. Get your Digital Marketing Strategy Audit with an Experienced Digital Strategist.